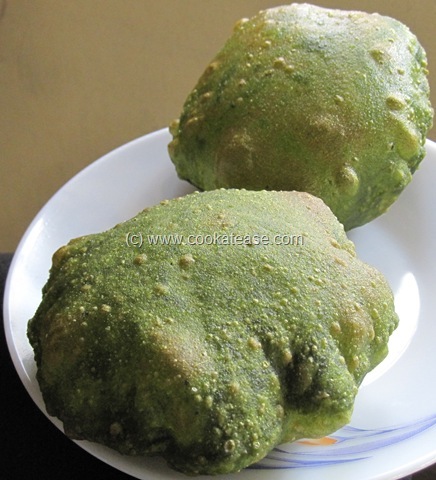 Poori (Puri) is the popular deep fried Indian bread. 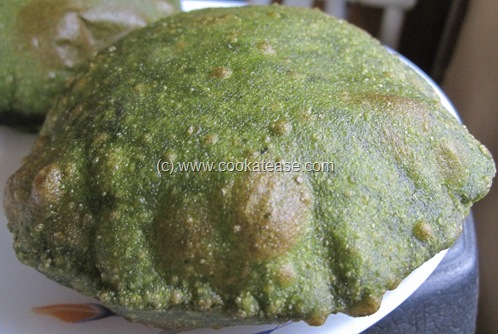 Palak (spinach) is mixed with wheat flour to prepare this colourful Palak Poori/Puri (Indian Spinach Bread). Palak poori looks green in colour with slight taste difference. 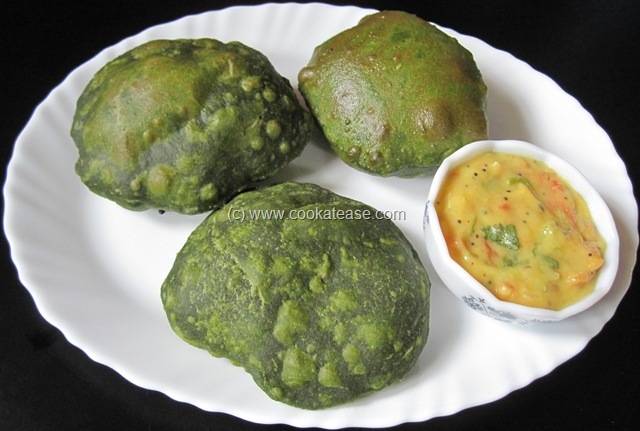 Even those who do not like spinach, will find this poori attractive and tempting. 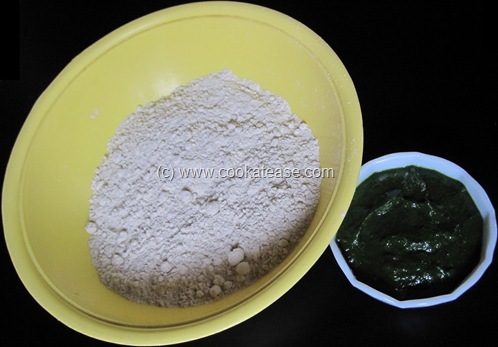 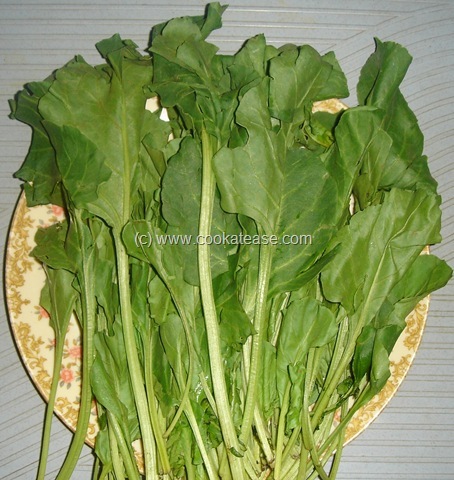 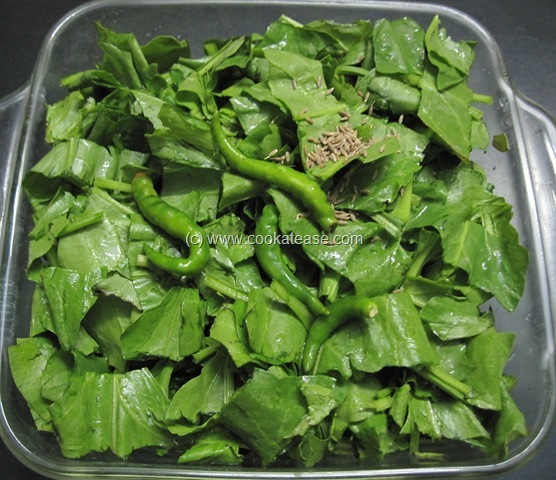 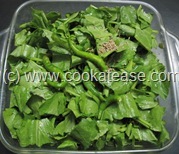 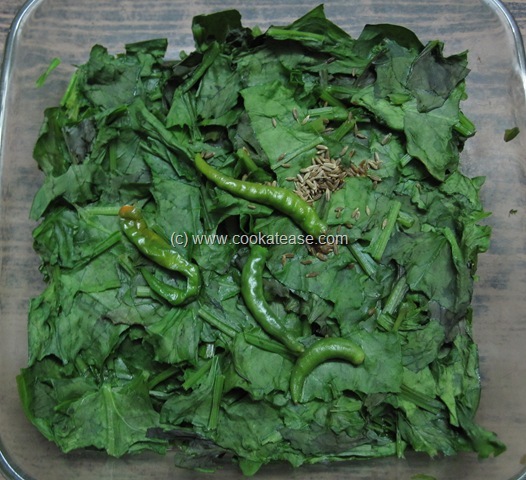 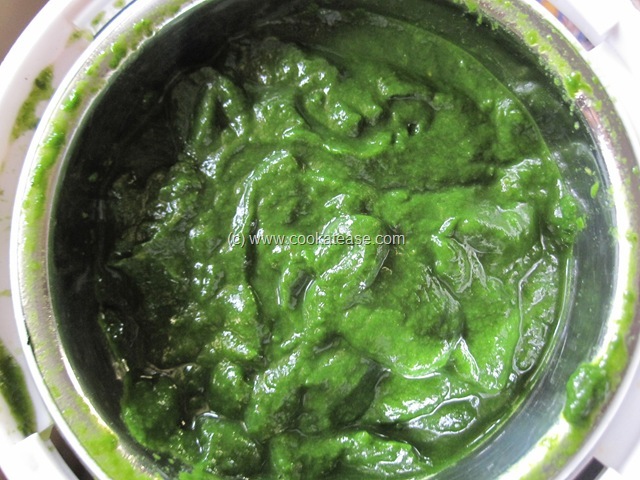 Palak paste for Poori: Clean, wash, cut and boil palak with green chilli, cumin seeds; I boiled palak in microwave oven. 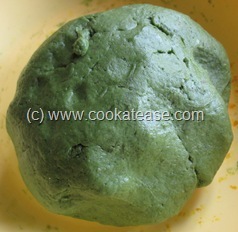 Cool it, add salt and grind it to a fine paste without water to get 1 cup by volume. 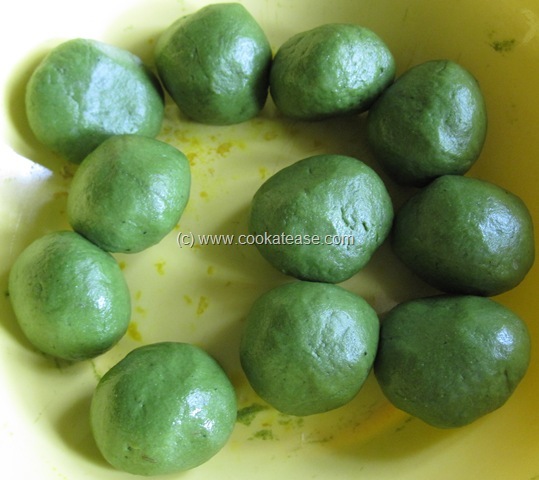 Palak Poori/Puri: Add palak paste, rice flour with wheat flour; mix nicely and prepare a dough (add little oil and water to prepare the dough if you find it sticky); shape the dough into small lemon sized balls. 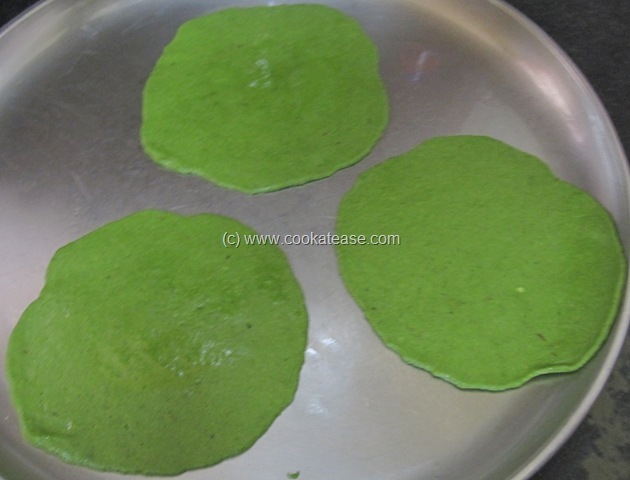 Use a rolling pin and board to shape it further into a disc; deep fry these discs in moderate flame. Now Palak Poori/Puri (Indian Spinach Bread) is ready. 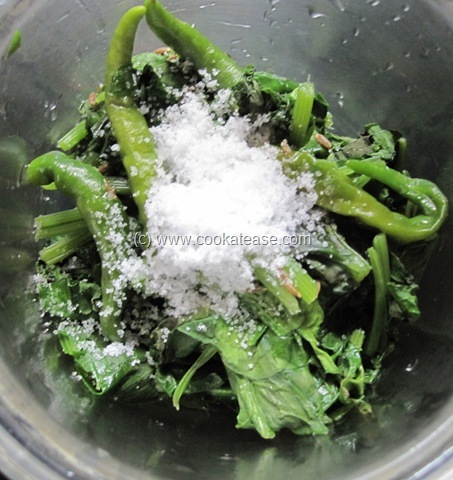 Serve hot with any chutney or vegetable. 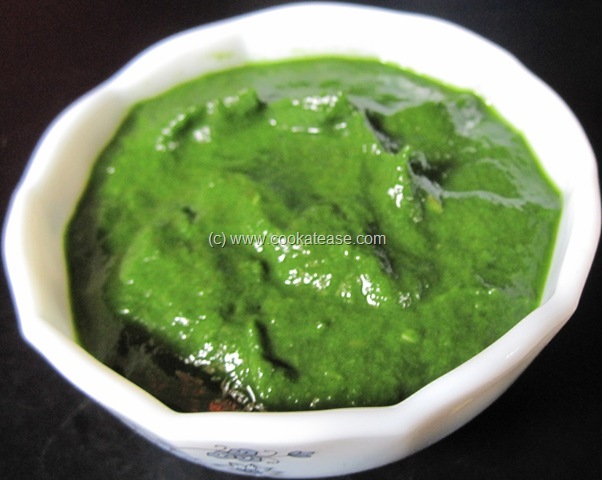 I served it with Bombay (now Mumbai) Chutney. Have a closer look of Palak Poori/Puri (Indian Spinach Bread). Wow the poori looks very colourful.Nice. 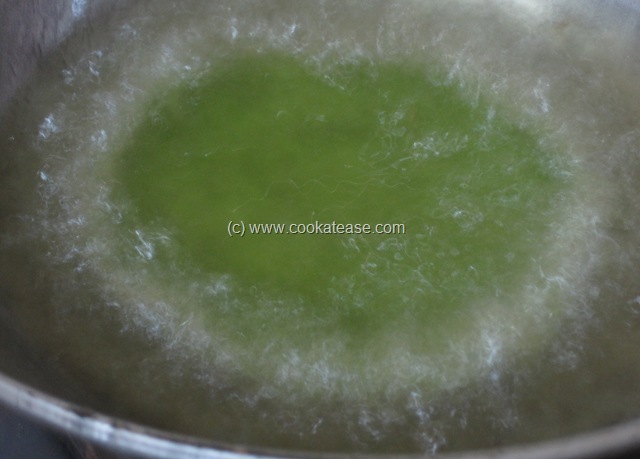 Ur pooris look wonderful…can you please tell me what oil you use to fry them? 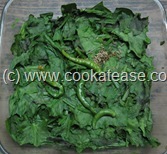 Your blog itself is a “Treat to the Eyes”. 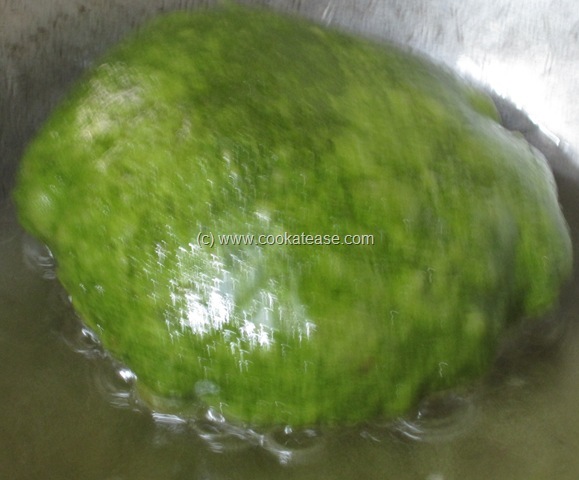 Every day visit has become a must.